“A Charlie Brown Christmas,” which debuted on CBS in 1965, was the first animated TV special starring the Peanuts characters created by cartoonist Charles M. Schulz. Although TV executives thought it would be a failure, the animated Christmas special won an Emmy award and a Peabody award, captured 50% of the TV viewers on its debut night, and is still popular today. Here’s some trivia you may not know about the special. - The number of hairs on Charlie Brown’s head changes throughout the show. In some scenes, he has three hairs on the back of his head, and in others he has no hair at all. - Composer Vince Guaraldi was invited to write the music for the special after a TV producer heard one of his songs while riding in a cab. - Lucy calls Charlie Brown “Charlie” in a scene right before she talks about the commercialization of Christmas. This is the only time she ever calls him by his first name only in any Peanuts special. In all the other specials, she always calls him by his complete name – Charlie Brown. - TV execs were sure “A Charlie Brown Christmas” would flop miserably. They didn’t like Guaraldi’s music, were concerned about Linus quoting the Bible, and wanted a canned laugh track to accompany the animation. 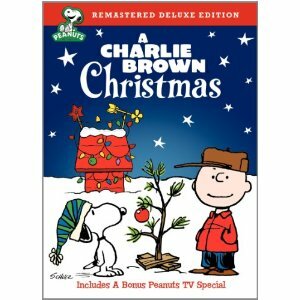 - 50% of all TVs were tuned in to watch “A Charlie Brown Christmas” on the night it first aired in 1965.